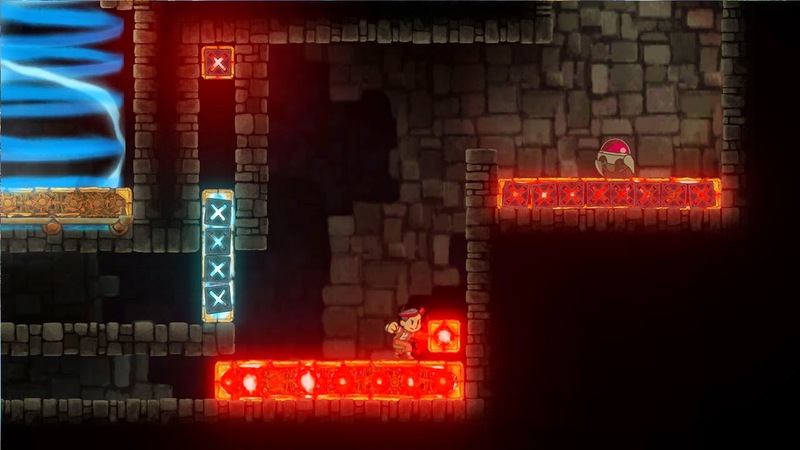 Teslagrad is SuperPhillip Central's next indie game review. Released in the middle of September, I'm a little late to the party, but I'd rather be late than never show up, as Teslagrad is a fantastic 2D puzzle-platformer. My review will show you this. Are you ready to be pulled in? There is something about the so-called Metroidvania style of game that a lot of indies absolutely love. Is there anything wrong with that? No, I don't think so. It's just amazing to me how many developers wish to take on the formula, and it's enjoyable to see how different studios interpret it with their varying designs. 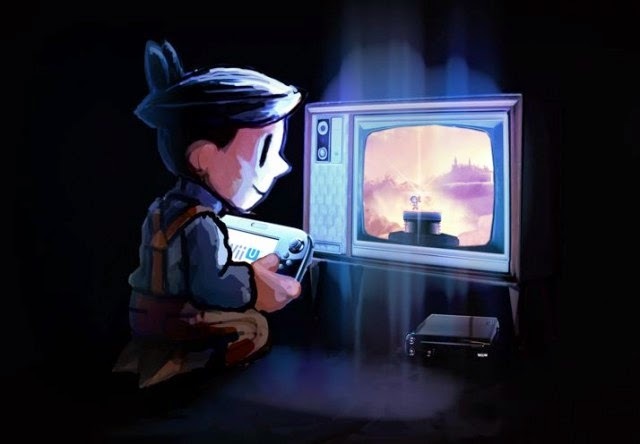 Teslagrad for the Wii U eShop (a game eventually releasing on all modern PlayStation platforms in the near future) is one of those games that also uses the Metroidvania style and to great effect, for that matter. While it has its shortcomings, Teslagrad is a Wii U eShop title worthy of a glance--nay, a look! What is lovely about Teslagrad's narrative is that it's totally free of dialogue and scenes that take control out of your hands. Your home is ambushed by a group of goons, and you, a young boy, escape through a backdoor, running across rooftop to rooftop as you make an escape with bated breath from pursuing thugs. It's a wonderfully done opening, and that is just the beginning of Teslagrad's tale. You wind up inside a gigantic tower, and it's here that Teslagrad lets you loose with as much information about how to proceed as the game gives you about its own story, through minimalism and allusions. All you see are little pictures on walls and in the tower's backgrounds that depict how to interact with each new obstacle you come across. 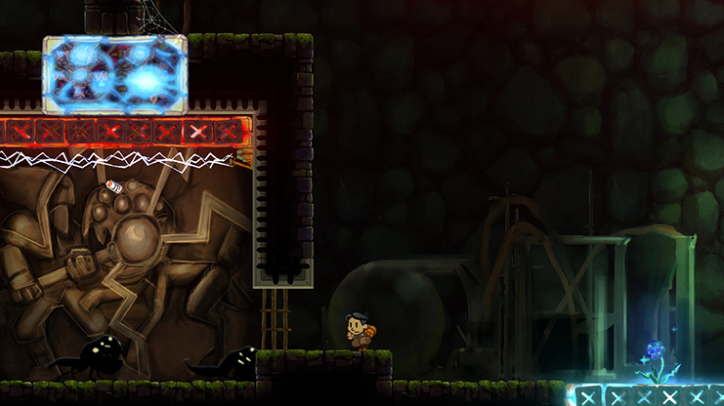 Magnetism is the main gameplay element within Teslagrad. You influence and later control electrical currents to proceed through the game's devilish and delightful environmental puzzles. Teslagrad is all about discovering for yourself how to tackle each challenge thrown at you, and this almost complete lack of helping advice from the game assists in making each discovery and solution incredibly rewarding. magnets and polarity, you're good to go! The Metroidvania (or if you find that term obnoxious, replace it with Metroid-style) gameplay of Teslagrad doesn't come in the form of new weapons. Instead, it manifests itself in the different ways you can interact with electrical currents and the magnetized platforms and objects within the game. One ability allows you to punch magnetized blocks, changing their polarity with each punch. Another allows you to teleport across a short distance, perfect for crossing over large chasms, moving past electrical currents, and more. 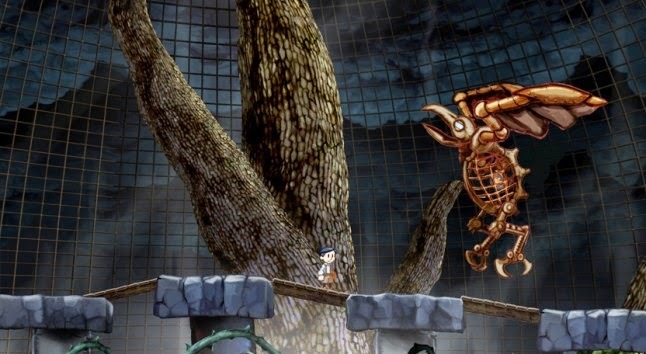 Platforming is just an important a part of Teslagrad as the puzzle aspects. However, later portions of the game features some truly challenging and almost aggravating areas, and this is due to some of the wonky physics used in the game. This difficulty and aggravation goes to game's handful of boss encounters. These are generally impressively thought-out, but seeing as taking one hit is death, it's all too easy to have to start these multiple part battles all the way from the beginning. In large rooms within Teslagrad, dying means starting over from where you first entered the room. While unlimited lives are at your disposal, it can be quite irritating having to redo significant segments of a room or boss battle over again. This moves from fun and challenging to tedious and frustrating quite quickly. can take you out with one simple hit. Regardless, it's important to note that Teslagrad isn't a hugely aggravating experience. Most of the time it's great fun to explore the insides and outsides of the Tesla Tower, piecing together the story with context clues and such, appreciating the marvelous hand-drawn art style employed, the intriguing Old English setting full of shadows and darkness, and coming up with solutions to tricky yet tremendous puzzles put in your path. You'll be Teslaglad to be playing Teslagrad. ...I'll see myself out now. Teslagrad is about a 5-7 hour gameplay experience. Hidden inside the tower are various cards that require backtracking to acquire, much like the Metroid-style influence would suggest would need to be done. However, the map leaves a little to be desired. In its current state, you can look down on the GamePad screen to look at it or press the select button in off-TV play to select it. There's no way to pan the screen while looking at the map, meaning you can't see rooms outside of the perimeter of the screen. This is quite the overlooked feature. As it stands, Teslagrad is a very attractive downloadable title for the Wii U eShop. Lovers of 2D platformers, puzzles, and interesting settings and stories will find a lot to love and enjoy with the game. For its price point, Teslagrad offers a wonderful amount of content, and it is the type of game that begs to played more than once. 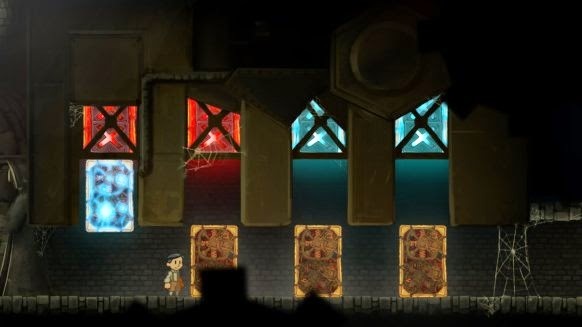 Ultimately, most Wii U owners will find Teslagrad as a game that will pull them in and won't let go until the end.